This is a BIG subject. We’ll have a look at the basics. Accelerated learning methods enable you to learn more quickly, efficiently, deeply than standard and traditional methods of learning and they also enable you to have better short and long term recall of the subject. It helps people integrate the learning better into their lives, thus making learning more worthwhile. Does this sound like a good thing? It certainly does to me. Traditional methods of learning typically involve someone telling you something or you reading something and then you try to memorise it. They might tell you what it is and get you to repeat it for example. The problem with this method is that it takes a long time, you do not understand how to apply the knowledge straight away and before you have had time to do that you forget it. Take learning a foreign language for example. I learned French by memorising a list of words. Say twenty at a time. It took ages and by the time I got to the twentieth word I had forgotten the first half a dozen and needed to go back over them. Even when I had committed them to memory I couldn’t use the words as I did not know how to put them into context. It was a very long process! I only really began to master French when I went to France and immersed myself in the language and their culture. In the case of traditional methods of learning, we normally use only a fraction of our in-built learning resources. Eg Reading a text book involves us only using our Auditory Digital resources and our sight. we may visualise the words in order to memorise what we have learned. Accelerated learning methods involve using many more of our learning resources and it can be done much more quickly. 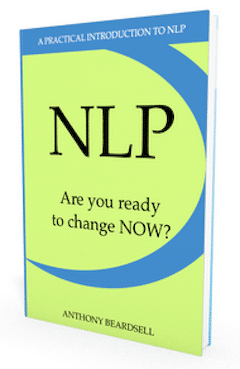 Our online NLP training courses involve our students watching animated videos. This enables us to take advantage of our ability to easily remember pictures and associate them with concepts and ideas. They listen to the audio in the video, which also enables them to associate sounds to the pictures and the concepts, thus strengthening the learning and making recall easier. We use examples of the use of concepts. This enables the students to relate the concept or process to real life, to things that they may have experienced in the past and they can visualise themselves applying it in the future. There are exercises for the students to do. This enables them to get immediate practical use for the learning. It makes the learning experiential for them. This is a major part of accelerated learning. We discuss in the videos how to apply the knowledge, what could go right, and what could go wrong. This enables students to review their own performance and learn from their mistakes. The experience of applying the learning means that it is much easier to recall the subject in detail as we have mental pictures, sounds and feelings associated with or memories of the learning experience. The more sensory based information that we have, the more senses that we use in the learning the better the learning and the easier the recall. So, accelerated learning involves using he senses of visual, auditory, and feelings, or touch. It means having experience of using the learning and it means practice in using it. It also means experimenting with it. At this stage you might like to see how it works for yourself by picking one of our videos to watch. Make notes as you watch it, See yourself using the knowledge and then experiment with it. You can probably now think of ways of using accelerated learning in your own environment for the benefit of your customers, patients or students. If you are working in education, then think of ways that you can incorporate the use of metaphors, different learning styles eg the 4-MAT system of learning. Get your students to experience the learning, give them tasks and exercises to do. Give plenty of examples. Get the patient to talk you through exactly how they are behaving at the moment. Walk them through the steps that they are using to get the results that they do not want. Then use metaphors to explain how other people do things differently and get successful outcomes. Follow this up with getting the patient to visualise themselves using the method that you are teaching them. Walk them through each step in their minds eye. Repeat this several times. Get them to visualise having success with the learning. This will anchor the learning deep inside their neurology. Use metaphors to show how the product of service can add value. 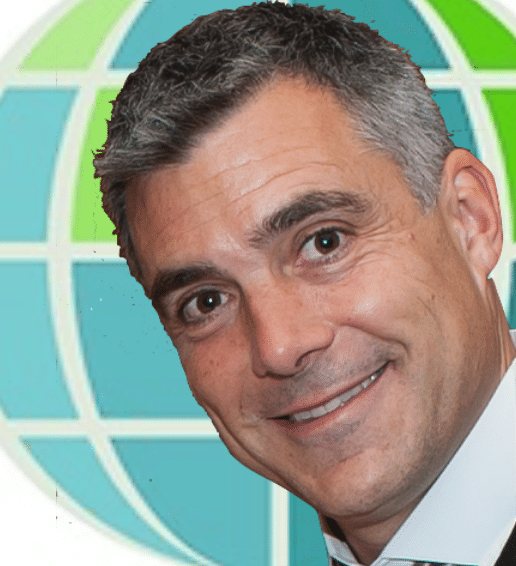 Do you demonstrate your product? You should. Get the client to experiment with using the product. Make sure that they see the value and see themselves getting value from the product or service in the future. 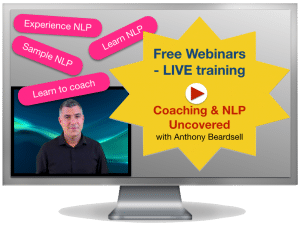 We believe that any proven method that gives us an advantage in our lives is worth employing and so we use accelerated learning techniques in our NLP training courses, and NLP online training programmes. Learning involves whole body and whole mind . . . and all the senses. Learning is creation and not consumption. Collaboration aids Learning, competition slows learning. Learning takes place at many levels simultaneously. Learning comes from doing the work itself (with feedback) and people learn best in context. Positive emotions greatly improve learning. Cut your training time by 20 – 50% without cutting critical content. Streamline your programmes and double their effectiveness. Help participants grasp technical and complex material more easily. Increase retention by creating vivid and memorable learning experiences. Making it easier for learners to “digest” content that is complex or theoretical. Increasing retention by creating vivid and memorable learning experiences. Recall can be increased by up to 50% because individuals are more actively involved in the learning process. Generally the more time that you spend learning the better the learning. The principal disadvantage to such a widespread implementation of an accelerated learning curriculum is the degree of focus and coordination it requires of both students and teachers. Students do have such widely different talents and learning styles. To realistically, incorporate all of these learning styles in one group setting requires a great degree of supervision and individualised attention. Takes manpower, ie cost. 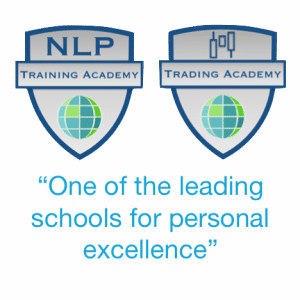 We circumvent this by using our NLP e-Learning facilities that back up our live trainings and allow students to train at their leisure, as and when suits them.